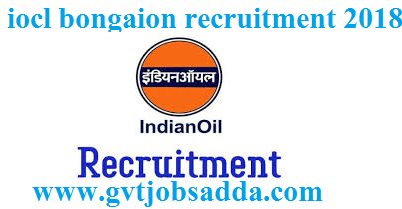 IOCL BONGAIGOAN VACANCY: Indian Oil Corporation Limited (IOCL) Has published for the job recruitment of Apprentice 114 posts,on 16-10-2018,Those candidates who are interested in (IOCL) IOCL BONGAIGOAN VACANCY Apprentice . they can read notification and apply before last date of apply 09-11-2018, Brief information mention below about IOCL BONGAIGOAN VACANCY 114 POSTS. 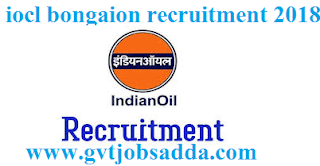 AGE LIMIT ON IOCL BONGAIGOAN VACANCY : Minimum 18 years and maximum 24 years as on 31.10.2018.